SALE! Now $150, was $295. Vintage large format fisheye photo from a 1970's show of photography by Ron Nielsen (1942-2010). Nielsen worked as a photographer for Chicago Magazine and a long list of national media outlets including Holiday, National Geographic, United Press International, Reader's Digest, Time, and the New York Times. 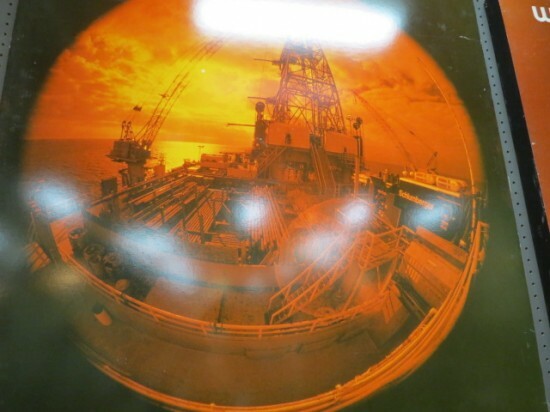 This photograph shows an orange tinted industrial photo through a fisheye lens. Very visually interesting wall decor. Good condition. 40" wide, 40" tall. Local delivery available. Call Lincoln Antique Mall for more info 773-848-3070. 3115 W Irving Park Rd. Open Monday-Saturday 11-7, Sunday 12-6. 7500 square feet of vintage and antiques! Voted best antique store in Chicago. Like us on Facebook to see the newest arrivals. WE BUY vintage and antique furniture, chandeliers. SALE! Now $150, was $295. Vintage large format fisheye photo from a 1970′s show of photography by Ron Nielsen (1942-2010). Nielsen worked as a photographer for Chicago Magazine and a long list of national media outlets including Holiday, National Geographic, United Press International, Reader’s Digest, Time, and the New York Times. 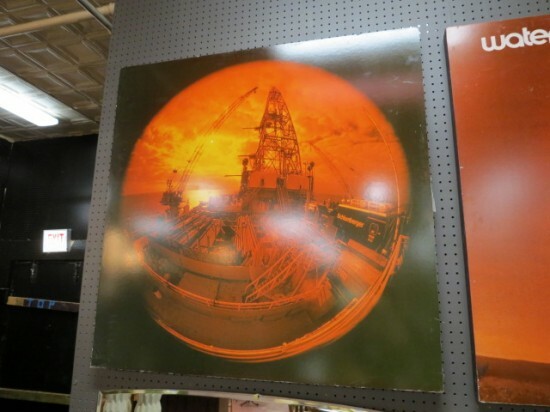 This photograph shows an orange tinted industrial photo through a fisheye lens. Very visually interesting wall decor. Good condition. 40″ wide, 40″ tall.